Since carved from a cornfield in the natural amphitheater that existed between the Eldora Ballroom and the Wabash River by bandleader Earl Baltes in 1954, Eldora Speedway has grown to be a frontrunner in motorsports growth and stability. Baltes chose to sell the legendary high-banked clay oval to motorsports entrepreneur and NASCAR, IndyCar and USAC champion Tony Stewart in 2004. 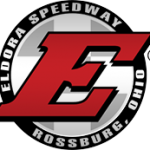 Eldora is celebrating its 65th consecutive season of racing in 2018 featuring the biggest events in short-track racing, including: the $100,000-to-win Dirt Late Model Dream Weekend; the $50,000-to-win Kings Royal Weekend; the Camping World Truck Series’ Eldora Dirt Derby – NASCAR’s only race on dirt; the 48th Annual World 100 Weekend; and the historic 4-Crown Nationals on September 21st and 22nd. 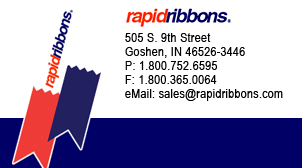 The complete schedule for Eldora’s 2018 season, including ticket and campsite information, is available at www.EldoraSpeedway.com. Fans can get behind-the-scenes access by following @EldoraSpeedway on social media channels Twitter, Facebook, Instagram and Snapchat. Exclusive video content posted on www.youtube.com/EldoraSpeedway has been viewed over 4.2-million times.